At ZAKKIA, we are on a mission to make the world a more beautiful place through good design. From our very first collection in 2014 we made a promise to ourselves that every ZAKKIA product would be carefully crafted – by hand. A handcrafted object is one to be loved and enjoyed over a lifetime, possibly generations. It is unique and unlike any other. With that in mind we approach each design with the mindset of quality and longevity to create a special piece for you to love. A change of brand guardianship heralds a new era for the company. Deborah Mott, owner and Executive Director, heads the changing of the guard at ZAKKIA, having bought the business from its founder, Sara Lundgren earlier this year. The Sydney-based business launched its first collection in 2014 and haven’t looked back since, growing exponentially over the following years. 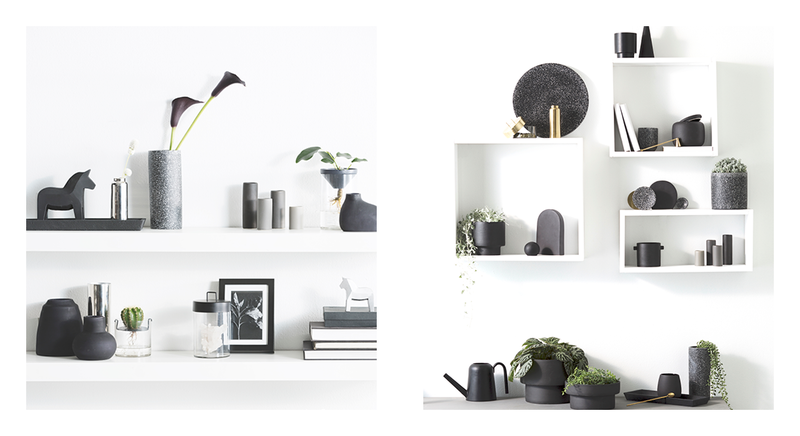 The brand became well-known for its Scandi-style, clean-line homeware products made from natural materials. Modern design, simplicity and a love of handcrafted objects are the foundations of each ZAKKIA design. Deborah is not new to business having owned a highly successful company previously, which she and a partner founded, built up and sold, planning on an early retirement. During her brief period of retreat Deborah undertook more creative endeavours, including renovating her home, which she found to be personally satisfying and deeply gratifying and despite any challenges, incredibly enjoyable. After years of working in the corporate world, she made a pivotal discovery - that she had been holding her innate creativity at bay and that perhaps, it was time to venture forth into business once again, however this time the driving force would be her need to combine business with creativity and therefore build something that was more personally inspiring and ultimately, more rewarding. 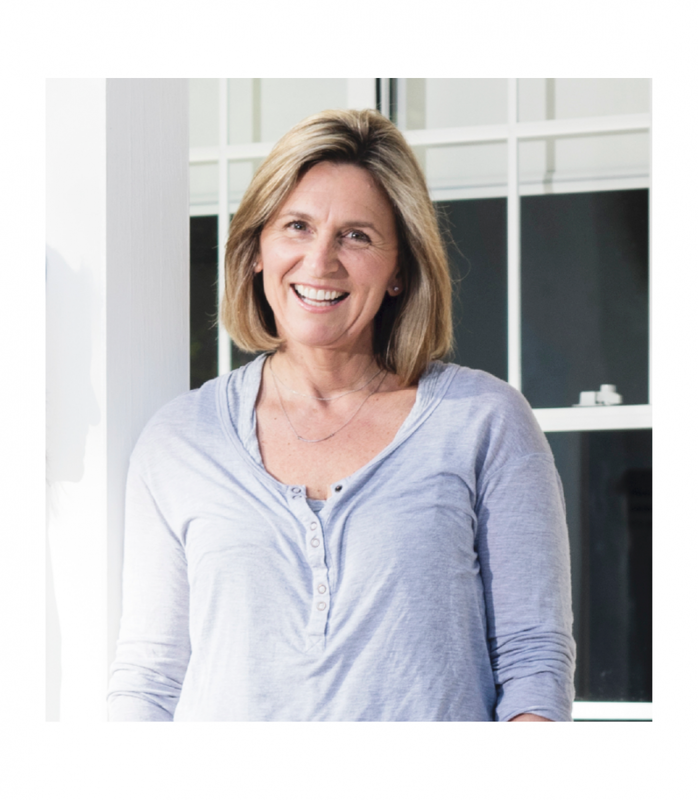 Deborah brings a wealth of experience and articulation to the discipline of good business operations along with a passion for creativity, good Australian design, and a love for zen-simple, artisanal homewares made from natural materials. “I was always very creative growing up and this was passed down to me by my mother and grandmother who were always doing the most amazing and intricate work in sewing, embroidery and knitting. I loved art and excelled in it and having travelled a lot, always held a fascination for artisans from all over the world. After achieving many things in business and having a personal hiatus, I came across ZAKKIA and it was love at first sight. How perfect! Creative again and in my own business,” says Deborah. While being true to ZAKKIA’S origins and mission statement – to make the world a more beautiful place through good design, Deborah has an updated vision for the brand’s evolution. Authentic, contemporary Australian design will be celebrated through all the major pillars of the brands philosophy and this will be done through collaboration with leading, like-minded Australian designers, hand selected by Deborah herself. ZAKKIA will continue to work with the same likeminded makers who have always shared our passion for quality, handcrafted homewares, and have been the backbone of the brand since the beginning of our journey. We feel so fortunate to be able to work so closely with our makers and they are truly the bedrock of the ZAKKIA community. All are family-owned studios located primarily in Vietnam, with a couple in India as well. Deborah has recently returned from travelling overseas to meet all the makers, so she can continue the very open relationship that has been established and will continue, as she loves the fact that she and her team can work very closely with the artisans, as they are an integral part of the whole design process, often giving essential advice on materials, etc, from their own wealth of experience. You can read more about our extended team of makers here. ZAKKIA was conceived from a passion for good design and an aim to create quality products by Swedish-born founder, Sara Lundgren. Hence, products were designed to follow a clean and minimal Scandinavian philosophy, which aligns seamlessly with contemporary Australian style. Older European cultures have a deep respect for craftsmanship and people there would rather go without, until they can afford something authentic and handmade out of quality materials that will last. In Australia, the throw-away mentality is finally changing, more and more Australians are willing to invest in high quality, artisanal products for their homes, that won’t end up in landfill. This is a brand value of ZAKKIA that is highly respected by Deborah and will continue to be spearheaded by her and her team into the brand’s future within the same aesthetic, but more emphasis placed on modern Australian design. All of our products will still be created to have multiple uses and open to interpretaion and be carefully handmade from high-quality raw materials for durability. We continue to work with small, family owned manufacturers in Vietnam and India to create our products. We enjoy partnering with smaller studios who are experts and specialise in their area and whose generational knowledge adds immense value to the quality and spirit of our products. Each piece in our range is made by hand, some are thrown on potting wheels while others are hand-poured into moulds for consistency. 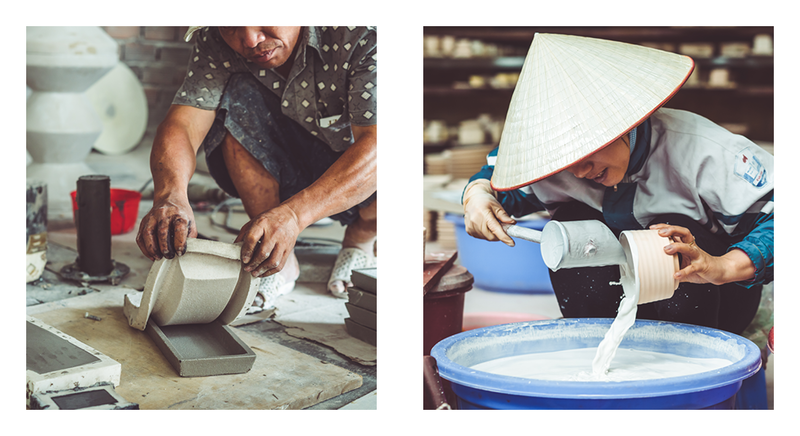 Our range of ceramic kitchenware is hand produced in North Vietnam in a small ceramic village where our partners have been creating homewares for over 900 years, passing down their skills and knowledge from generation to generation. One of our other partners in Northern Vietnam sources clay from the backyards of different family members depending on what type of finish we are working on. So, each product in our collection really is one of a kind! We love the journey our products take before becoming a part of the ZAKKIA collection, from the first sketch of the design, we share knowledge back and forth with our makers which always teaches us something new. We never stop learning in this valuable process! Our makers are just as excited as we are about testing new techniques or processes to create something special. We value and celebrate the unique quality of the handmade process and aim to help keep these local, traditional, skills alive through our partnerships. With each piece being made by hand there can be slight variations between each product. We fire our products using a traditional cubed Vietnamese kiln which creates a firing temperature with up to 10 degrees difference inside the kiln. Depending on where an individual product is placed, these 10 degrees impact the colour intensity and finish of the product, giving each design a unique beauty and point of difference. We love and respect this organic quality of our products. Your ZAKKIA piece is like no other, each product is unique and shows the marks of its journey to you. We see these differences as something special to enjoy and love over a lifetime as its journey continues in your hands. The material our products are made of is really the soul or guiding force within many of our designs. Our inspiration often comes from a material’s texture and thinking about using a material in a way that hasn’t been done before. You will never find anything fussy about our designs. We find beauty in function and simplicity and we always try to design products that can be used in multiple ways in many rooms of your home. We also think about how you might use our products together, for example, a candle sitting inside a tray – so we make sure that all our products work seamlessly together or do just as well when they are on their own – the strength of their individual form, function and materiality are beautiful enough.